It’s almost the birthday of Imam Mohammed al-Mahdi (AS)! There are so many Amaal to do for this night that it can get overwhelmingly long for young children. But of course, we still want our kids to be involved and do as much as they can. Whether we are participating in a group Amaal session at a mosque or if we are doing it at home, we want our kids to feel the desire to join us, instead of feeling forced or bored. 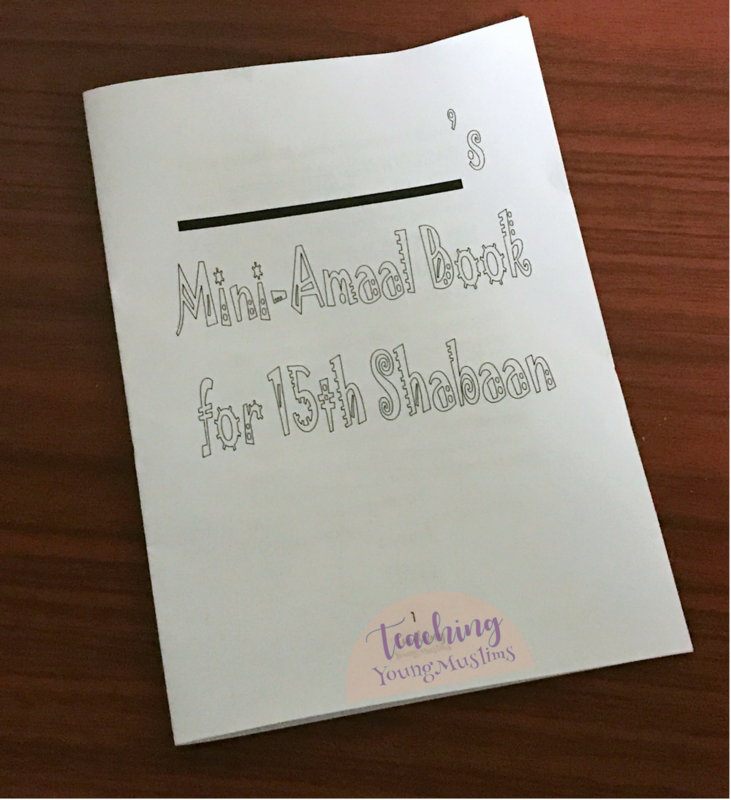 For this reason, I have created a mini-Amaal book for our little ones to use, so that they can have a book of their own to hold, so that they can participate without feeling overwhelmed. When the Amaal of the night are presented in a bite-size manner, kids are more likely to have the desire to participate for themselves. It will feel more manageable and the kids will want to do as much as they can. The Amaal in this are from duas.org. You can download the Amaal book in the Teaching Young Muslims Resource Library! Enter your name and email address here to receive the password to access these downloads. 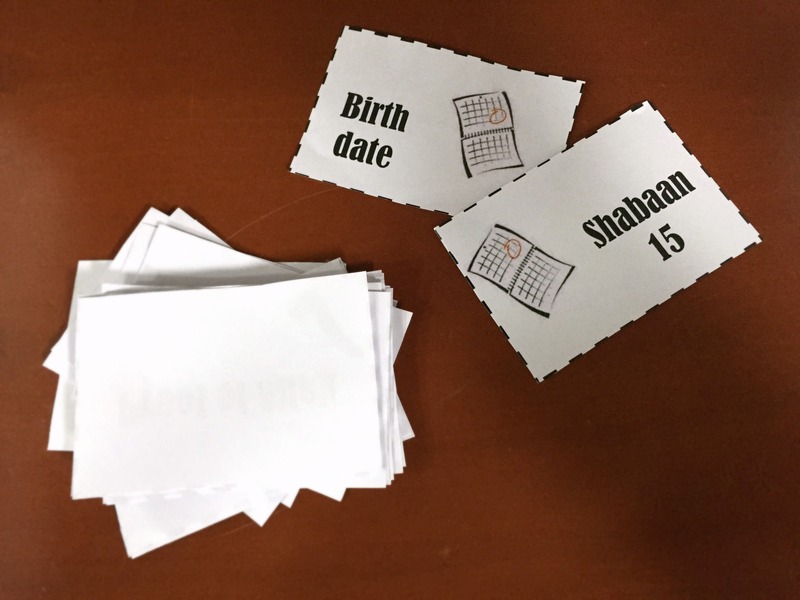 Another download for the birthday of our 12th Imam (AS) is a memory/matching game with facts about our Imam (AS), such as his titles, his parents, his birthday, and more. All you have to do is cut on the dotted lines to separate the cards, shuffle them, and put them all face down. To play, pick up two cards at random, and see if they are a matching question and answer. There is clip art on the cards to make it a little easier for little ones. If correct, keep the cards, but if not, put them back and try again. With repeated exposure to the facts, our kids will be able to remember the information effortlessly, without realizing that they have memorized it. This can be played individually or in small groups, as many times as you like. 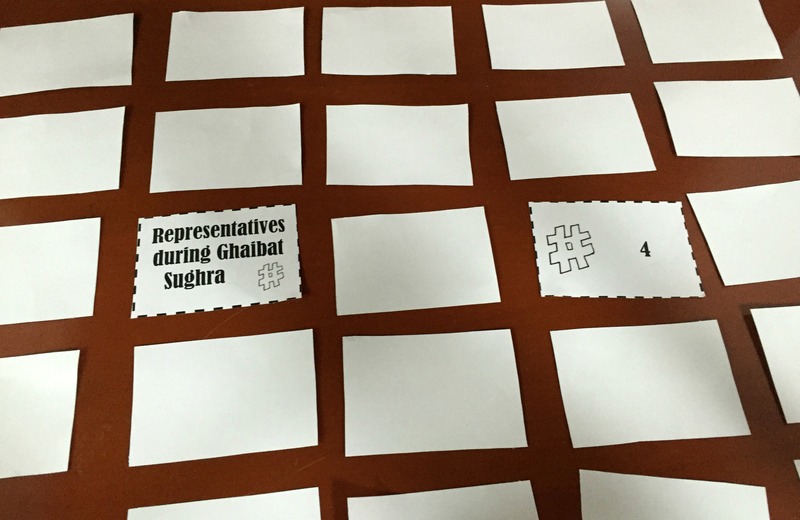 To download the matching game, go to the Teaching Young Muslims Resource Library! Enter your name and email address here to receive the password to access these downloads. Did you enjoy these activities? Were they useful for your kids? Leave me a comment below and let me know!